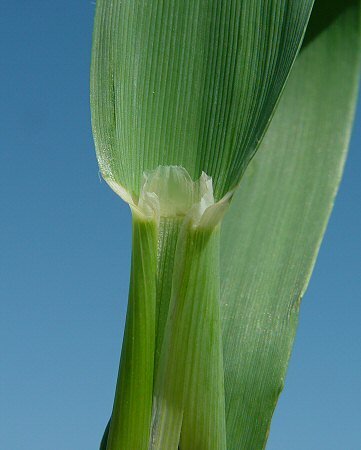 Habitat - Cultivated and infrequently escaped to roadsides, railroads, fallow fields, and disturbed sites. Origin - Cultigen of Eurasian origin. 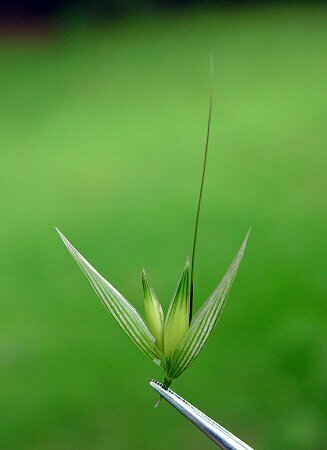 Other information - This plant can be found scattered throughout much of Alabama and is probably more common than reported. 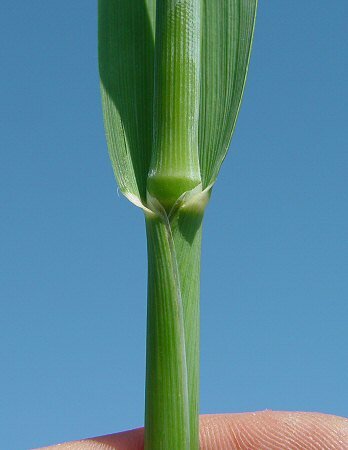 The plant is easy to identify becasue of its big ligule and large, inflated spikelets. 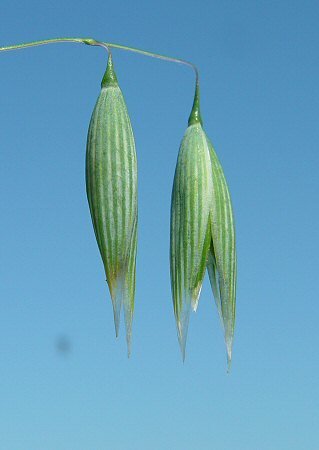 Avena sativa is the common oats of cultivation. It is an important component of cereal, bread, granola, etc. 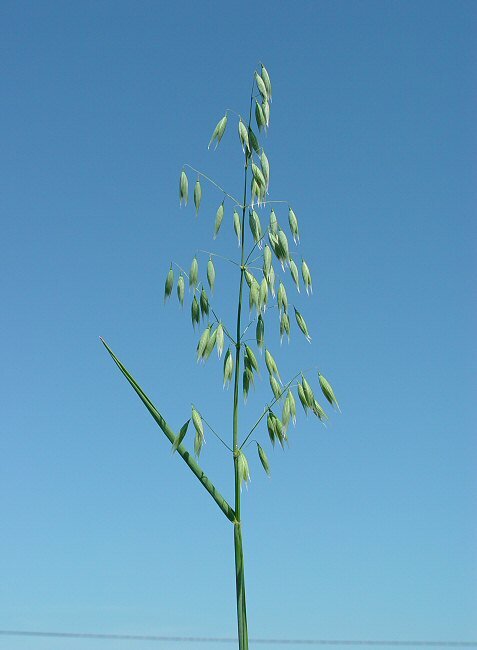 Oats are also important as animal feed. 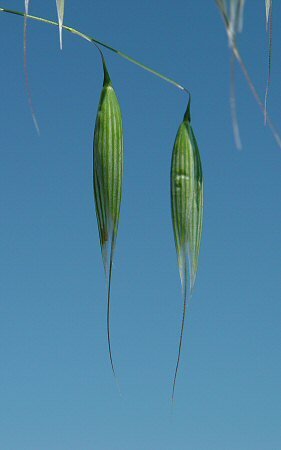 The genus name Avena is the classical Latin name for oats. The species epithet sativa means "cultivated." Photographs taken of Hwy 80, Montgomery County, AL., 4-23-06.